Acne vulgaris is the most common skin disease in industrial nations. It usually begins during puberty, in line with hormone changes, and may persist into later adulthood. Approximately 80-90% of young people are affected to some degree with blemishes and 20-30% of these people will seek medical support. There are also increasing numbers of adults, particularly women, experiencing acne later in life. With acne, skin becomes oily and open and closed comedones (black and whiteheads) appear on the face and often the neck, shoulders, chest and back too. In moderate and severe acne, skin becomes reddened and inflamed papules and pustules develop. Acne can be emotionally distressing, annoyingly persistent and can lead to post-inflammatory hyperpigmentation (PIH) and/or long-term scarring. Post-inflammatory hyperpigmentation is a flat area of discolouration on the skin and is a response of skin to inflammation such as acne or eczema, especially in people with darker skin complexions. It may fade over time but dermatological treatments and anti-pigmentation procedures can help. Acne: what happens in skin. 1. Mild acne, also known as acne comedonica. 2. Moderate acne, also known as acne papulopustulosa. 3. Severe acne, also known a acne conglobata. This is the over production of sebum. Physiologically, sebaceous glands secrete an oily substance known as sebum to lubricate hair and skin. A number of issues such as hormones, climate, certain medications and genetics can trigger sebum production. A disturbed sebum secretion can also trigger Seborrheic Dermatitis, a common inflammatory skin condition in which flaky, white to yellowish scales form on oily areas, such as the scalp or inside the ear. Read more about Seborrheic Dermatitis. Hyperkeratosis (or Hyperkeratinization) is a thickening of the outer layer of skin (stratum corneum). Irregular shedding of dead, cornified skin cells (corneocytes) clogs the sebaceous gland’s duct and disturbs or interrupts the release of sebum. When the skin produces an excess amount of sebum (seborrhea) and dead skin cells remain attached to the skin (hyperkeratosis) the two can build up in the hair follicle and form together as a soft plug. This plug may cause the follicle wall to bulge and produce a closed comedone (whitehead) or, if the plug is close to the surface, an open comedone (blackhead). Bacteria that normally live harmlessly on skin (propionibacteria) build up and can then colonise the plugged follicles, causing papules, pustules, nodules or cysts. The consequence is reddened and inflamed skin. In severe cases of acne, the follicle wall bursts in the late phase of inflammation. Lipids, fatty acids, corneocytes, bacteria and cell fragments are released, causing extended and deep inflammations in the adjacent tissue. 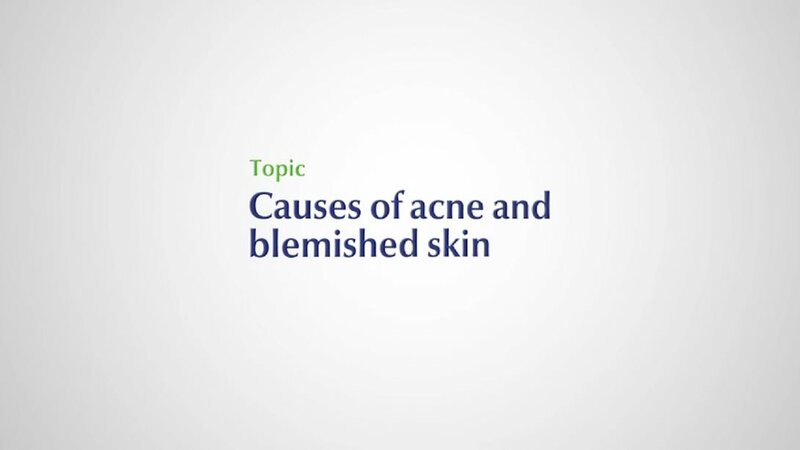 Causes of acne and blemished skin. If there is still some confusion about whether symptoms are acne-related or not, the Skin Test could provide the answer. Additionally seek dermatological advice from a doctor or other skin specialist. How do blemishes and acne develop? Read more about medicinal acne therapies. Read more about non-medicinal acne therapies. Hormones are considered to play a role, making acne most common in teenagers (although people of all ages can get acne). The increase of androgens in both boys and girls in puberty causes the sebaceous glands to produce more sebum than skin needs. In addition to the amount of circulating hormones also an increased sensitivity of the sebaceous glands is relevant for the development of acne. The majority of acne cases vanish spontaneously after puberty. Nevertheless, effective treatment is needed to prevent the formation of lasting scars. Sebaceous glands are particularly sensitive to hormones so adult acne can occur in women with hormone-related conditions such as polycystic ovary syndrome. Also psychological stress may be a trigger of adult female acne. Bacteria. In people with acne-prone skin, the excess production of sebum creates an ideal environment in which the normally harmless acne bacteria (Propionibacterium acnes) can multiply. This triggers inflammation and the formation of red or pus-filled spots. 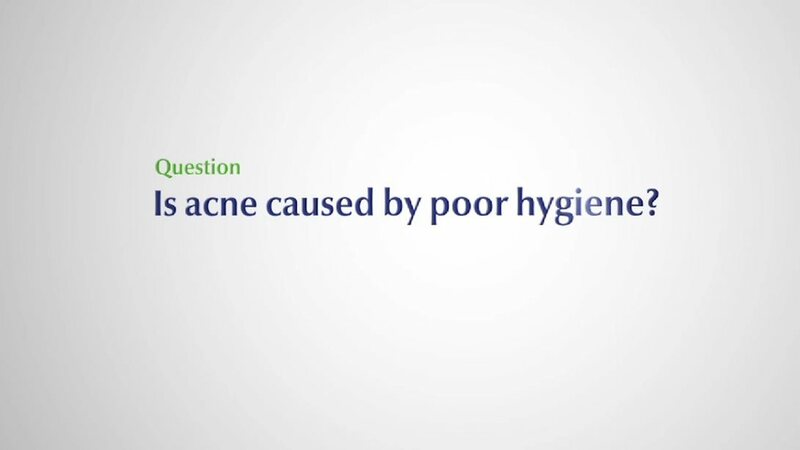 This is not, as some myths would have you believe, because acne sufferers are unhygienic. On the contrary, over-cleansing with aggressive cleansing products is actually more likely to irritate skin. Acne may lead to emotional distress. So it is important to seek dermatological advice in an early stage of acne. Normally harmless acne bacteria (Propionibacterium acnes) can multiply due to excessive production of sebum. Genes are also thought to affect a person’s risk of developing acne. So, if both parents had acne, there is a higher chance that their child will go on to develop the condition. Similarly, if one or both parents had adult acne, their offspring stand a higher chance of getting adult acne too. Medication. Certain medications, such as steroids and lithium, have been known to trigger acne in some people. There are many myths surrounding acne, many of which unfairly “blame” the sufferer – such as acne being caused by having dirty skin, poor hygiene or a poor diet, or acne being contagious. As well as being untrue, these myths can cause unnecessary distress to sufferers who may already be experiencing low self-confidence or low self-esteem. Dermatologists are trained to separate the facts from the fiction. Always inform your doctor about current medications when seeking advice for your skin concern. Eating sweet products containing sugar can worsen your acne symptoms. It is important to seek dermatological advice in the early stages of acne, and even when symptoms are mild, as effective medical treatment can prevent an aggravation of the disease and consequences like scarring. Use lukewarm water and an appropriate cleanser (too hot or too cold can aggravate acne). Leave spots to heal naturally (squeezing can make them worse and lead to scarring). Apply only non-comedogenic skin care. Remove make-up at the end of the day. For every skin concern it is essential to follow a daily skin care routine with appropriate products. Although there is no ‘cure’ for impure and acne-prone skin, medicinal and non-medicinal therapies can be very effective in preventing the formation of new spots and scarring. Depending on the severity of impure and acne-prone skin, sufferers can use a cleanse, clear, care routine such as the Eucerin DermoPURIFYER range, be prescribed medical treatments such as retinoids or oral antibiotics or a combination of both. Some medical treatments are known to have dehydrating side effects so can be enhanced with adjunctive moisturising care. This daily routine should also include an appropriate sunscreen for impure and acne-prone skin such as the Eucerin Sun Fluid Mattifying SPF 50+. 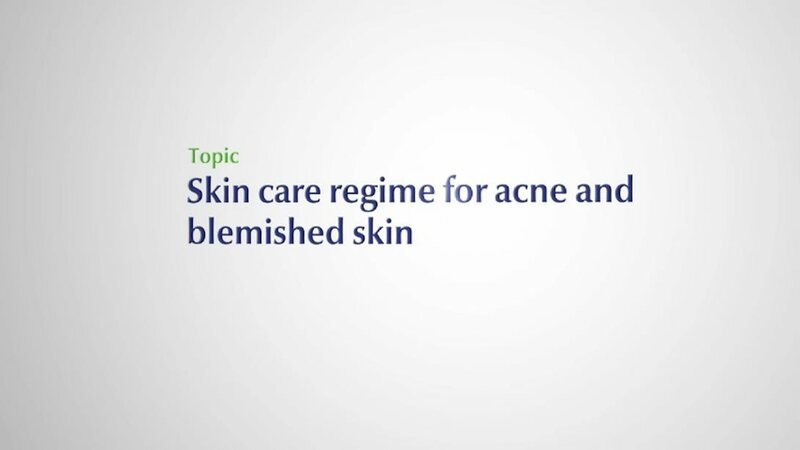 Skin care regime for acne and blemished skin.